Solar panels for commercial buildings are an excellent way to invest in a smarter future for your company, and substantially decrease your overhead now. Regardless of how much energy your business needs to generate, we’ve got you covered. 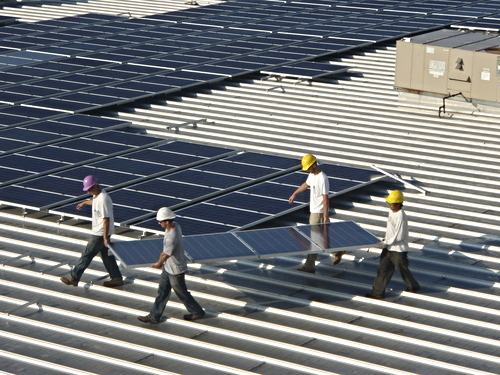 Cedar Valley Energy has designed, developed and built commercial PV solar systems up to 1 MW in size. Cedar Valley Energy has deployed approximately 6 MW of commercial PV solar installations in and around the Mid-Atlantic area. 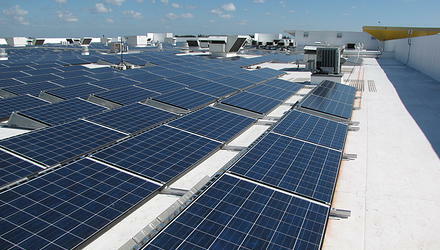 We have the expertise necessary to handle your commercial solar panel project, regardless of its size. Our customers tell us that we are the most comprehensive company they have worked with as we self-perform all phases of a solar project. From inception to helping you maximize the available incentives including submitting all applications for any state or utility rebate programs, our own employees handle it all. We don’t just offer the equipment and installation of solar power for commercial buildings – we take care of all the paperwork so you can focus on what matters most: effectively running your business. Sometimes, the most difficult step to take in a journey is the first one. That’s why Cedar Valley Energy makes that step as easy and risk-free as possible. Simply fill out our contact form or call 319-610-3449 to speak with a solar panel installation specialist. You’ll get a free no obligation quote for your commercial solar panel project, customized for your unique needs. There is nothing to lose by gaining a little more information, so contact us today to find out what solar energy could do for your business.